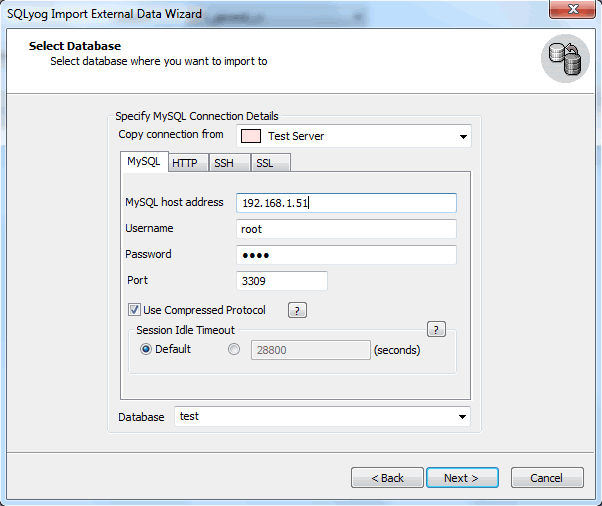 Next you need to define the destination MySQL database. The procedure is similar to the one you follow when connecting to your basic MySQL server. You can select an existing connection in the drop-down box Copy Connection From at the top of the window. For more details you can refer to the section Getting started.